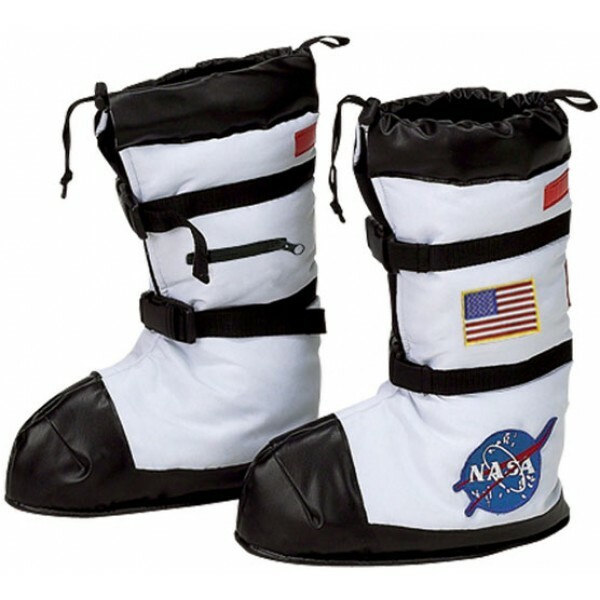 Get ready to moonwalk, in our NASA-style Astronaut Boots! They look very official, thanks to authentic patches, logos, and reflective strips. Includes a small zippered compartment (to hold the keys to your spaceship). Made of polyester and trimmed with soft, faux-leather fabric, these boots are available in white or black. With adjustable straps and buckles for good fit; in sizes MD (fits shoe size 10-1, up to 9"L) or LG (fits shoe size 2-7, up to 11"L). 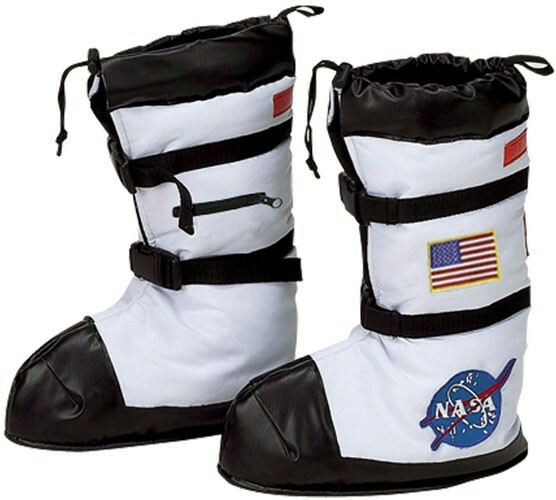 Please note: these are boot covers, so shoes or boots must be worn underneath.